The plate settler’s roots date back to 1904, when sanitary engineering pioneer Allen Hazen introduced the concept that sedimentation is a function of basin surface area, independent of retention time. 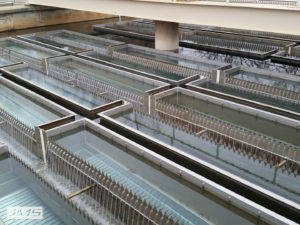 That development led engineers to add diagonal steel plates in the sedimentation basins to increase the effective projected horizontal surface area. That is where the JMS Mega-SETTLER (Plate Settler System) comes in. 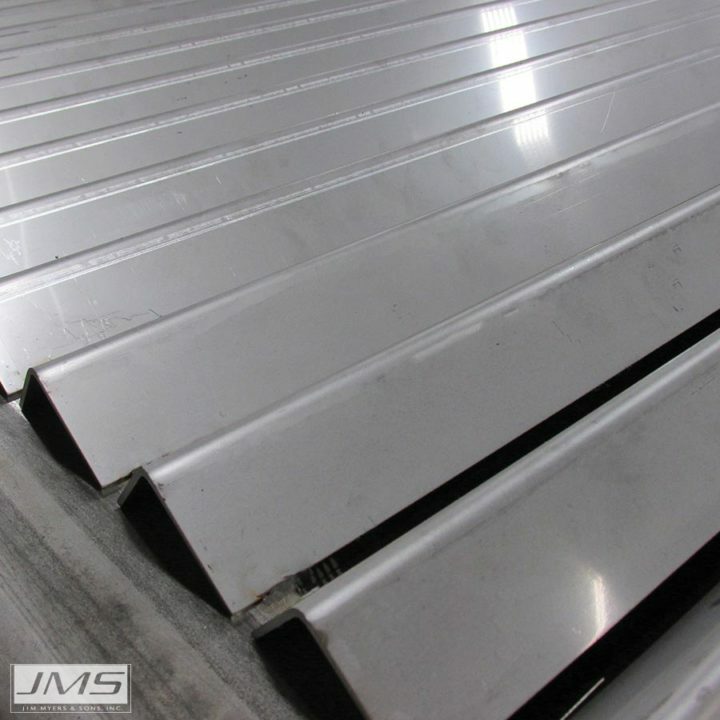 At JMS, we build upon that concept by utilizing our own Mega-PROGRAM (Plate Settler Design Program), developed over the last decade, to calculate the effective projected horizontal surface area required for a given design flow, while optimizing other design variables critical to the process. 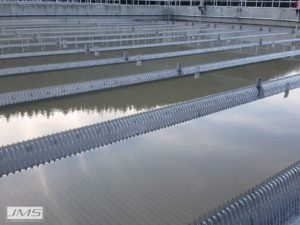 The result is the most efficient approach possible to maximizing the treatment capacity of the basin and improving effluent quality. Patented feature controls headloss and clogging issues other designs do not address. 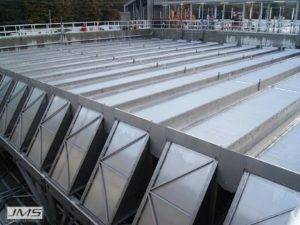 Addresses the issues of reduced visibility, access to the plates, and velocity accumulations resulting in imbalanced flow. 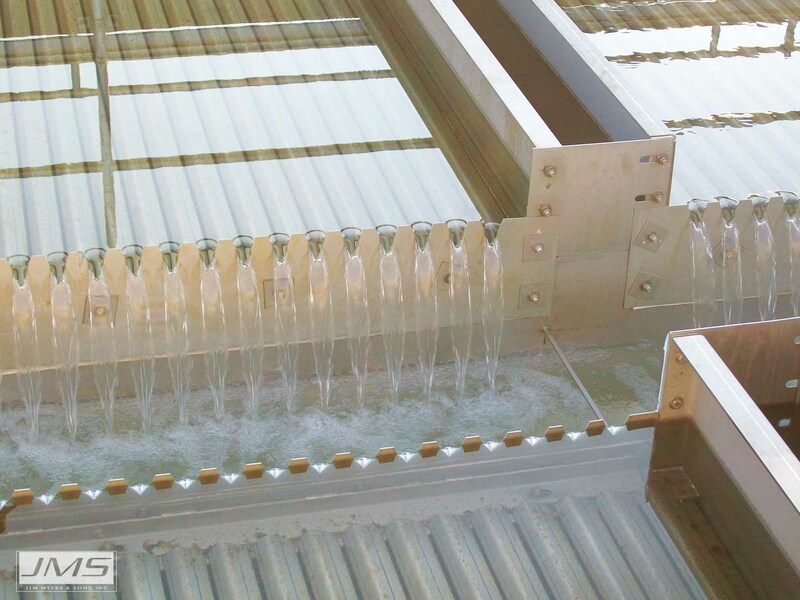 Adjustable weirs fine-tune water elevations to accommodate fluctuations in plant flow. The JMS Mega-PROGRAM is the most advanced and comprehensive plate settler design program in use. 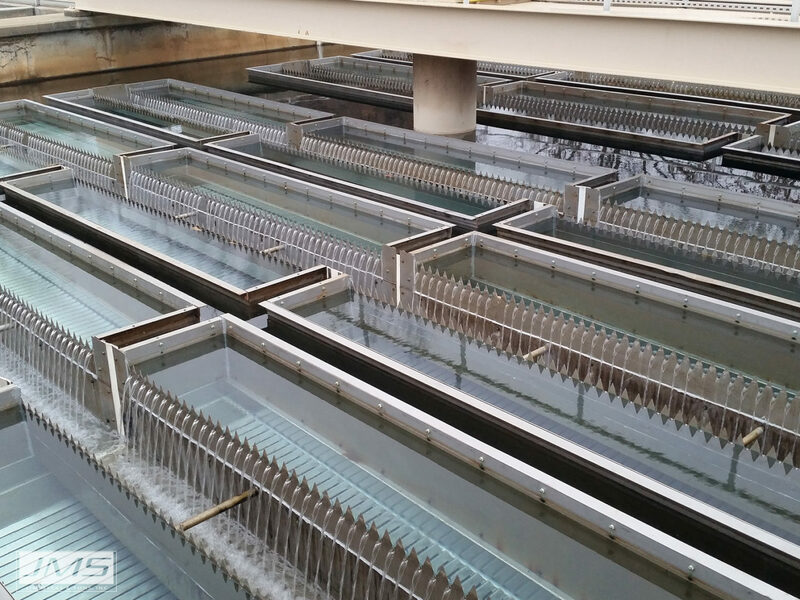 Two types of lamella sedimentation equipment are currently available commercially, Tube Settlers, and Plate Settlers. 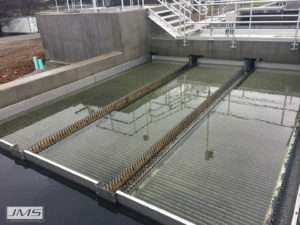 Both types of equipment use shallow sedimentation theory to achieve the desired results. 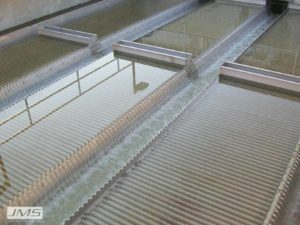 Use of Tube Settlers, or Plate Settlers can allow for greater loading rates of the system by expanding the surface area for sedimentation. This allows for greater loading rates, and results in a large reduction in the basin size needed to achieve the same results. It is generally accepted a reduction in settling surface area of 80+ percent can be achieved. Both Tube Settlers and Plate Settlers come with their own set of positives and negatives. Want to learn more about when to Choose Plate Settlers vs Tube Settlers? You can do so on the JMS Learning Center. JMS TFCA controls headloss and clogging issues that other designs do not address. 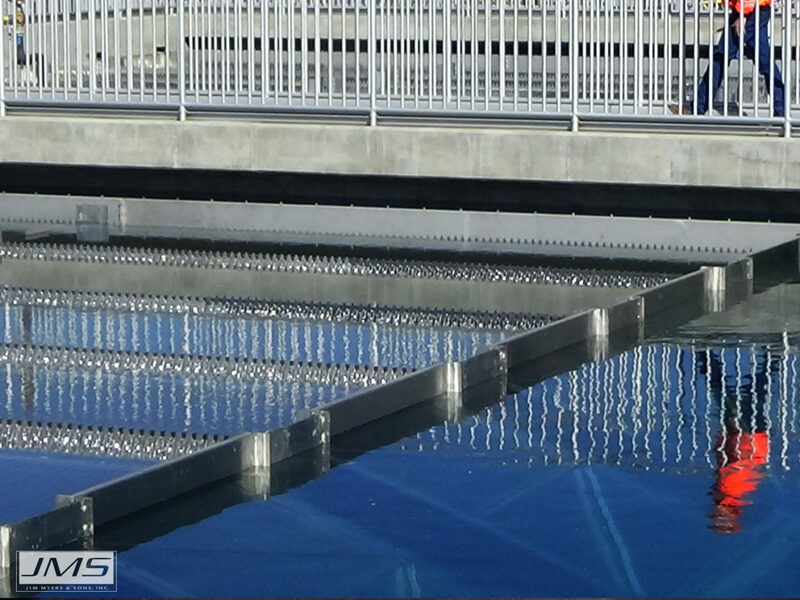 This JMS only feature also allows for operators to walk on top of the plates for wash-down and service. JMS TFCA also allows for the JMS Mega-SETTLER (Plate Settler System) to be used in water and waste water applications. 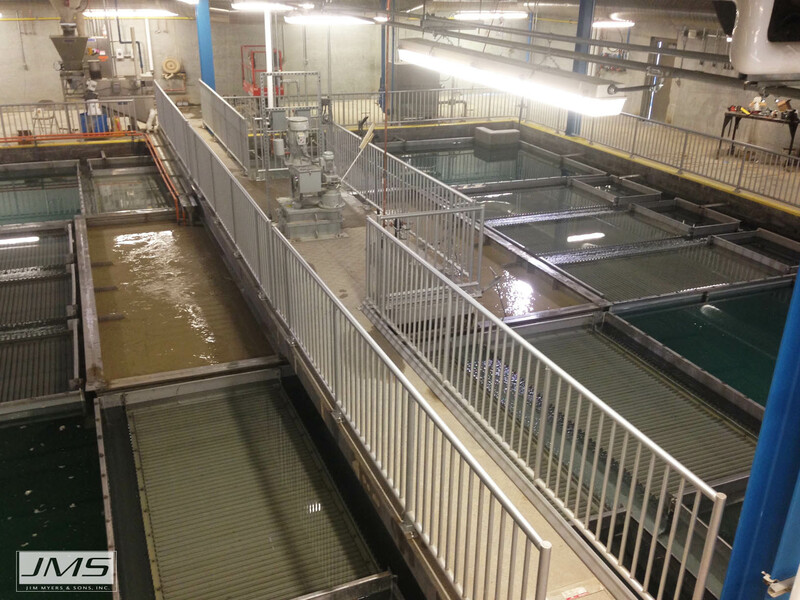 JMS 2VNP help fine tune water elevations to accommodate fluctuations in plate flow. 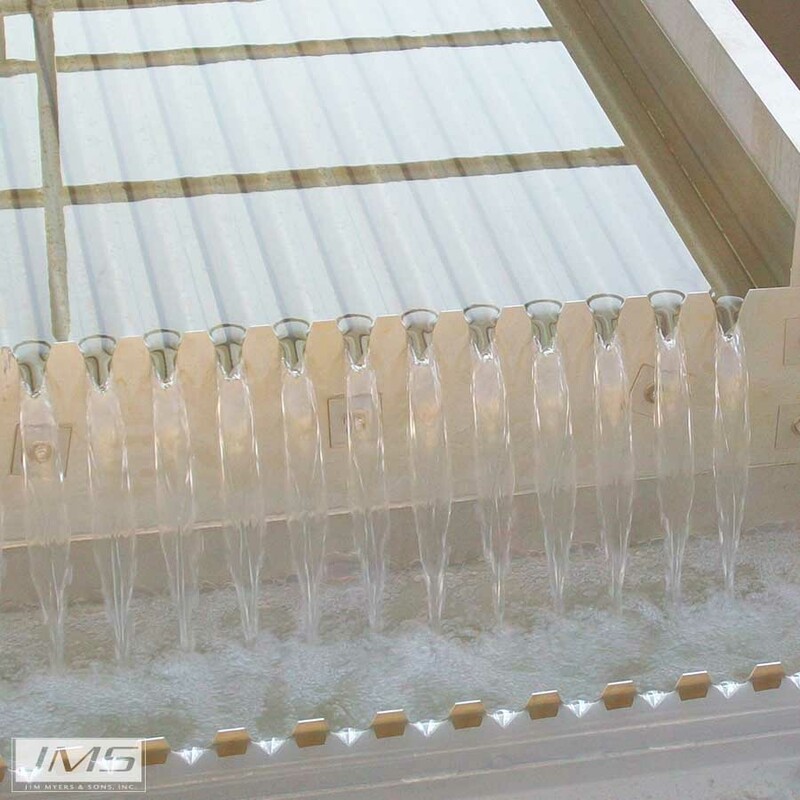 This JMS only feature also help acquire even flow distribution across all plates. JMS Dual Side-loaded Effluent Troughs help address the issues of reduced visibility, access to the plates, and velocity accumulations resulting in imbalanced flow. 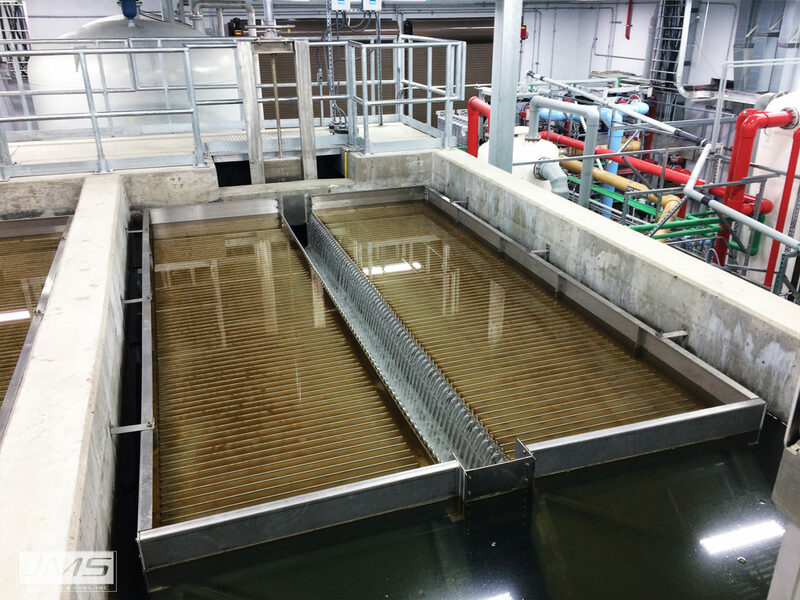 Increasingly, treatment plants are asked to do more and the need for maximizing what’s available has never been more evident. 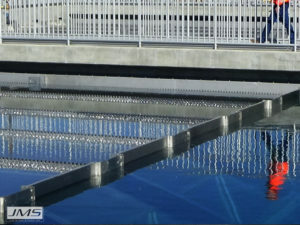 At JMS, we design our Mega-SETTLER (Plate Settler System) to best suit any basin geometry and sludge collection system. 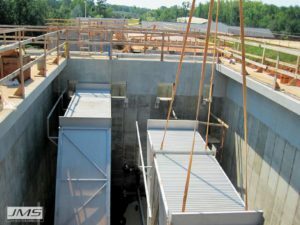 This approach can dramatically reduce the footprint of a conventional sedimentation basin, often by as much as 50 to 90%. 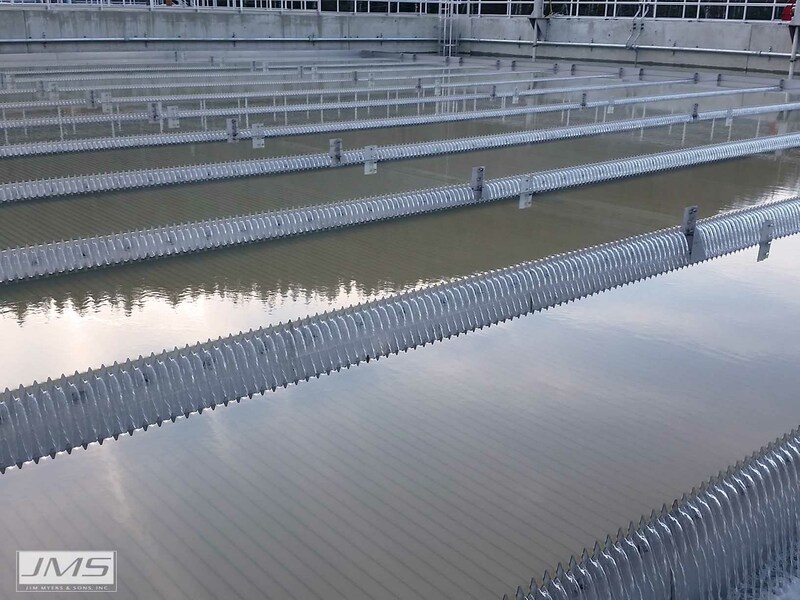 It can also significantly increase the treatment capacity of existing basins while improving effluent quality. Compared to similar out put sedimentation basins without plate settlers, the Mega-SETTLER (Plate Settler System) requires a much smaller footprint, performs consistently better, is more reliable, and when all capital, construction, and operational costs are factored in over the life of the system can actually cost less. 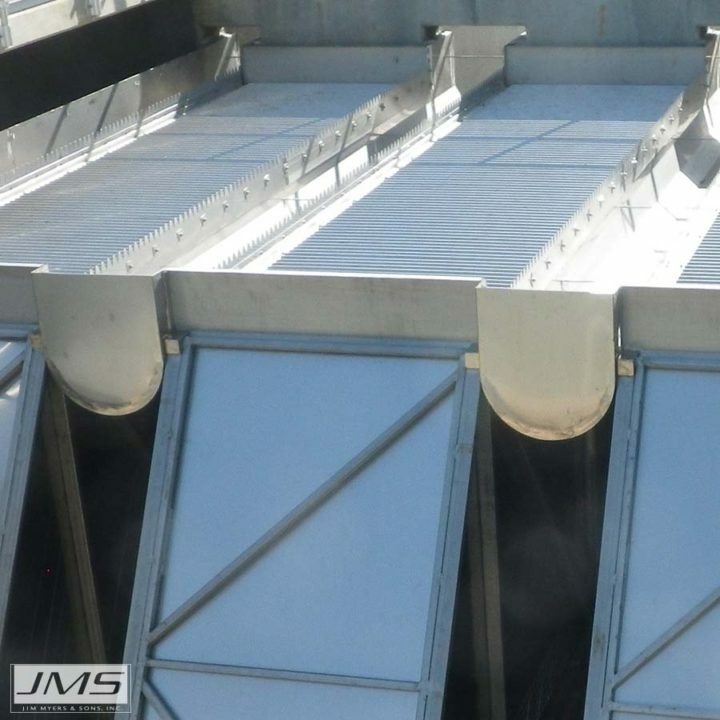 Constructed of 100% stainless steel, every JMS Mega-SETTLER (Plate Settler System) is designed to provide the highest level of efficiency and durability, while minimizing maintenance demands. Our experts continually analyze field data and apply that knowledge to each new system. 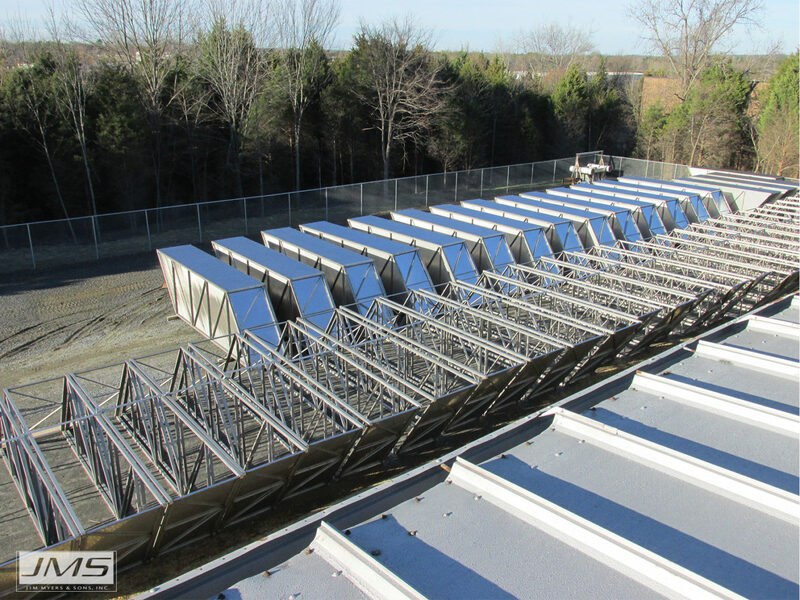 As a result, we can select the right combination of variables to optimize the performance of your system. 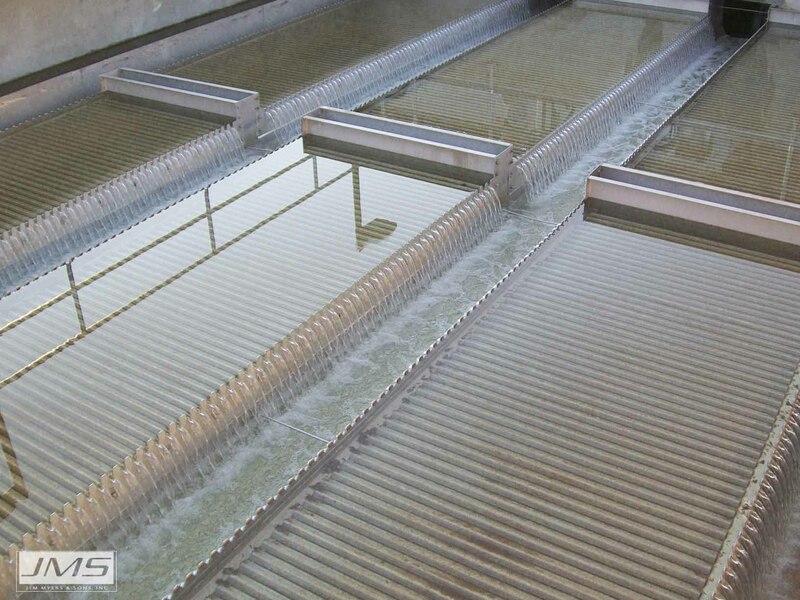 The Mega-SETTLER (Plate Settler System) line represents the efforts of JMS professionals with decades of experience in the sedimentation and flocculation industry, all committed to both process efficiency and customer satisfaction. JMS has worked with the SJWD Lyman WTP over the years to supply multiple pieces of equipment. 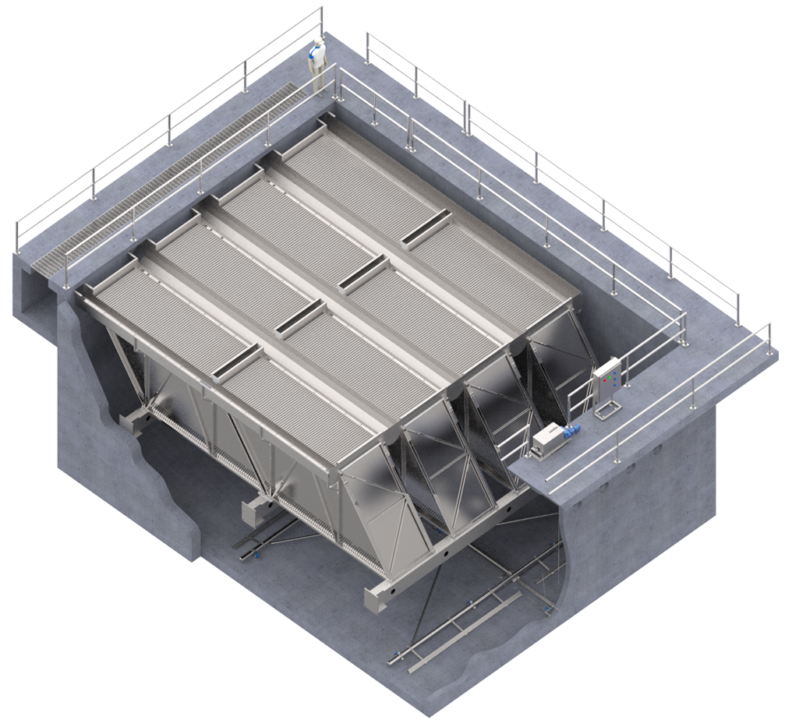 This included supply of JMS Mega-SETTLER (Plate Settler Systems) and JMS Mega-FLOC (Horizontal Paddle Wheel Flocculator). 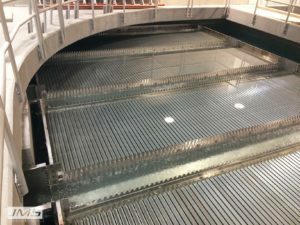 The new equipment has helped the plant meet the needs of the growing population in the area by increasing the plant capacity from 14 million gallons/day (MGD) to 18 MGD. Plant personnel have fully optimized mechanical and chemical systems for low turbidity water going to downstream membranes. 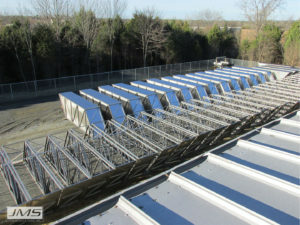 Repeat business is always a complement, and JMS is happy to be one of the chosen suppliers for this plant.